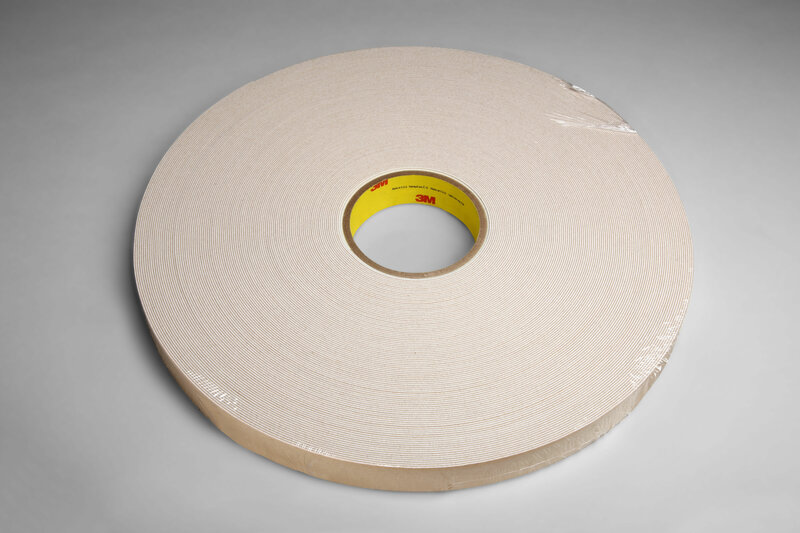 3M™ Double Coated Urethane Foam Tape 4085 3M 4085 | Fabrico, A Division of EIS, Inc.
3M™ Double Coated Urethane Foam Tape 4085 is a thick, double-coated, open-cell urethane foam tape with a paper liner. 3/64 in thick. Bonds plastics to plastics or painted surfaces. 3/64 in thick open-cell urethane foam carrier with 740 high tack rubber adhesive on 3.0 mil densified kraft liner. Medium solvent resistance and high relative adhesion to both HSE and LSE plastics. Good cushion, conformable, flexible, weather resistant with internal foam strength. Use for mounting indoor signs, nameplates and wall corner protectors to irregular surfaces. Mount trim panels in trailers. Hold polycarbonate panels in vending machines.